Teeth in an Hour? Teeth in a day? Bridge or a Dental Implant? Pasadena, Texas Dentist Michael Nugent is a regional leader in dental implants. Dr. Nugent is one of the few general dentist that can both surgically place and then restore your dental implant. Dr. Nugent is in control of your treatment from start to finish. Dental implants have revolutionized dentistry and brought amazing care to patients. The absolute best way to replace missing teeth is to utilize dental implants. Dr. Nugent has completed dental implants on his parents, in-laws, team members and friends. The beauty of dental implants is that they are so versatile. They can be used to replace single missing teeth or multiple missing teeth. The dental implants look, function and feel just like natural teeth. 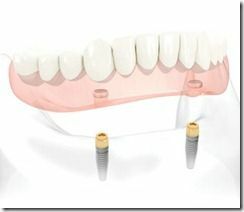 Also, implants can be used to anchor and stabilize dentures. Lastly, dental implants can provide immediate non-removable cosmetic solutions even for patients with advanced dental problems. The most common application of a dental implant is to replace a single missing tooth. This is the Gold Standard when replacing a missing tooth. A dental implant will look, feel, and function just like a natural tooth. Furthermore, the dental implant will never get decay and never need a root canal. A dental implant is the ONLY tooth replacement option that stimulates the jawbone and preserves bone levels. 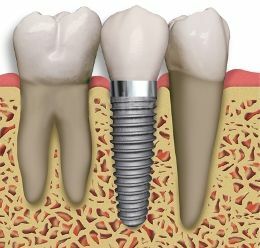 The dental implant does not damage adjacent teeth like other old fashioned treatment options. 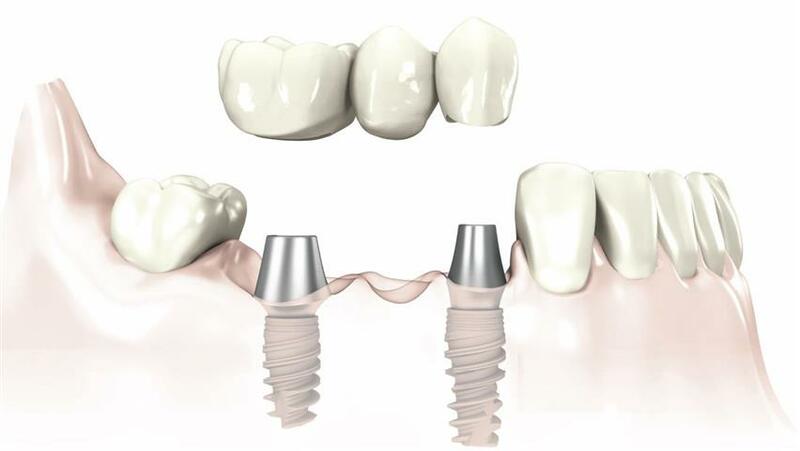 Implants can be used to create a dental implant bridge. This reduces cost as multiple teeth are replaced using only two dental implants. Again, the dental implant teeth will never get decay, never need a root canal and will stimulate the bone levels in the jaw. 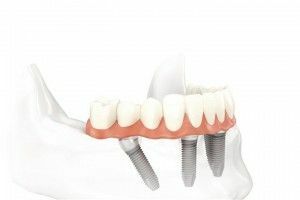 A dental implant bridge is a great way restore multiple teeth. Say good-bye to old fashioned ill-fitting and loose dentures. Dental implants can secure dentures and make them comfortable and secure. Eat the foods you love. Never worry about your dentures falling out causing embarrassment. Forget about loose dentures rubbing your gum tissue causing painful sores. Discover how dental implant dentures can change your life. Did you know that the standard of care for patients missing all their teeth is to have two dental implants anchor a lower denture? 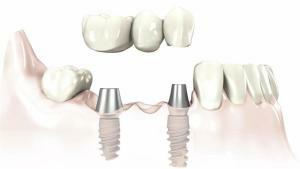 The amazing All on Four dental implant protocol allows patients that 1.) are missing all of their teeth (or about to loose all their teeth) 2.) have severe dental problems to have a cosmetic fixed (does not come out) solution all in one day. With the All on Four dental procedure bone grafting is usually avoided. Patients will be able to chew any and all foods. There is no bulky plastic covering the roof of the mouth. Patients enjoy not having to take their teeth out at night.